Spring Towing & Recovery will never leave you stranded. We specialize in heavy duty towing, assistance with winch outs, jack knife services, off road recovery, roadside assistance and 24 hour emergency towing in Spring, TX. Life is full of surprises. One moment you can be cruising along on the highway of life and in the very next moment you may find yourself in a ditch. It is in these moments that we must regroup, reevaluate and seek outside of our immediate circumstances for assistance. Spring Towing & Recovery can be that oasis in the storm. We have the equipment to pull you out of the deepest ditches and thickest mud. Flatbed towing is the safer way to transport vehicles. Spring Towing & Recovery has 10 tow trucks within our fleet. Nine of these vehicles are flatbed tow trucks. Three are designed for light duty, four are for medium duty towing and two are designated for heavy duty towing. This means that we are able to tow nearly any vehicle made for land or sea. 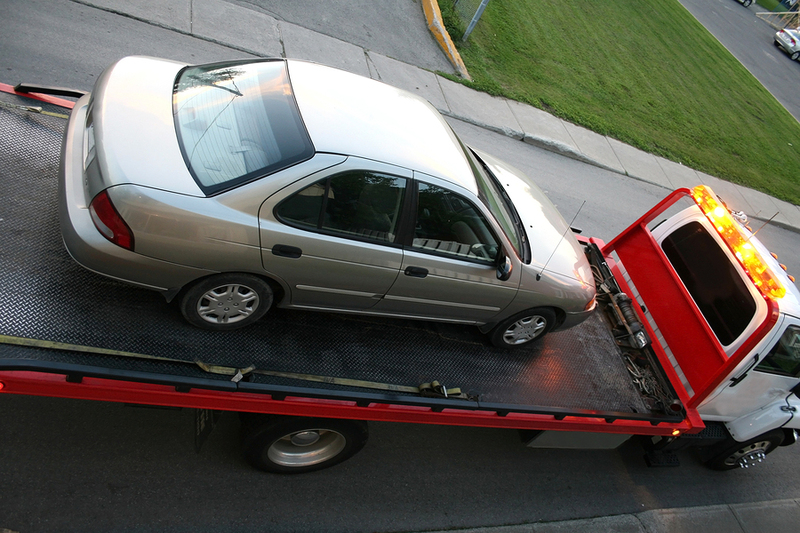 If you care about your vehicle, always request a flatbed tow truck. Traditional tow trucks drag vehicles through streets, busy intersections and highways on two or four wheels. This process can damage your tires. Meanwhile, the simple chain that is attached from the truck to the towed vehicle is not sufficient enough to prevent swaying into oncoming traffic and pedestrians. We pride ourselves on operating an ethically based business. Our founders thoroughly believe that one can make a profit while simultaneously being a positive contribution to the community it serves. We are part and parcel of the Spring city community. It makes us feel good knowing that we are providing a much needed service to our neighbors and fellow citizens. In that vein, we would never promise to provide a service over the phone to secure your business then present you with a much higher bill once the vehicle is strapped to the truck. Based on the information you provide, the dispatcher will quote an accurate price via phone. As we mature and secure our own sources of income, create families and build businesses, our responsibilities increase. We go from being responsible for ourselves as young adults to becoming accountable for the health and productivity of entire teams and family members. When you call for help, we realize that you are not just sending a smoke signal for yourself but for many. Knowing that you have many people relying on you means that the longer you are out of commission, the longer they must wait in limbo. Our dispatchers take all of this into account and are diligent when providing accurate ETAs that you, your team and family can depend upon. If you are located within 15 miles of the Spring city limits, we are able to rescue you from a bad situation. We service parts of the Houston-Sugar-Woodlands metropolitan area. During morning and evening rush hour we have tow trucks positioned on major highways and byways in anticipation of any unplanned circumstances. Due to the size of our fleet, there is an 80% chance that a tow operator is located less than 15 minutes away and can service your needs at a moment’s notice. We will also perform long distance towing upon request. Long distance semi truck towing, frac tank pick up and delivery and generator pick up and delivery are just some of the long distance services we offer.